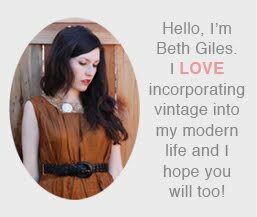 As a lover a vintage with a healthy fear of looking like I'm wearing a costume, I'm always working hard at a balance of vintage and modern in my wardrobe. I also do the same juggle with my kids outfits. It's fun to put my girls in pretty vintage pieces, but they often have that "my great grandma made this for me" or "this was my mom's when she was a baby" look, so I have to be careful. Here's a fun example of how I styled Fiona, mixing new and vintage. Start with a blank canvas, ie. 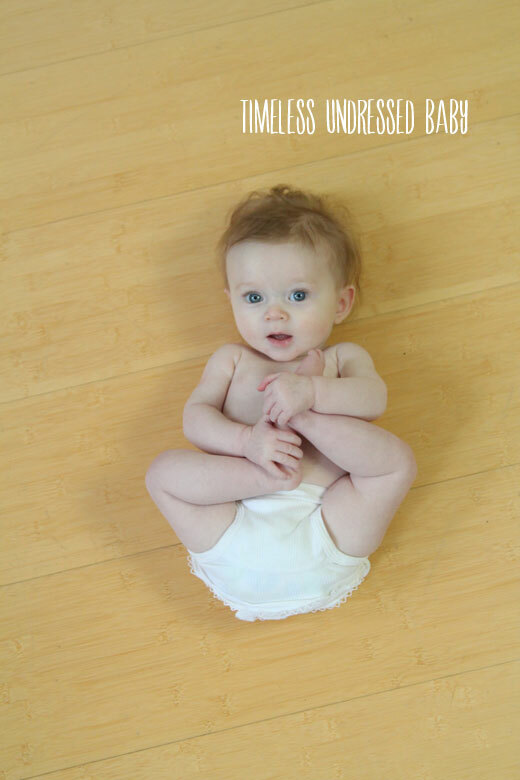 a diapered baby. 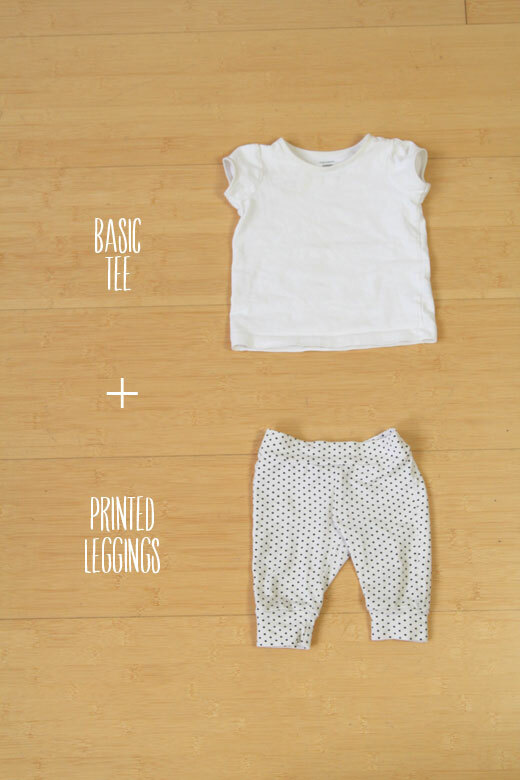 Select a basic tee and interesting leggings to get the outfit started. 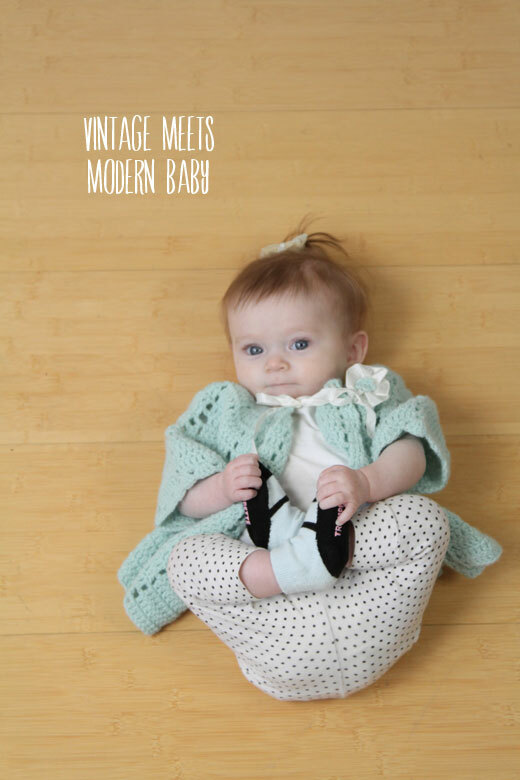 Layer on a vintage baby cardigan. These are easy to find at any flea market and most thrift stores, a family member may even have some in the garage. 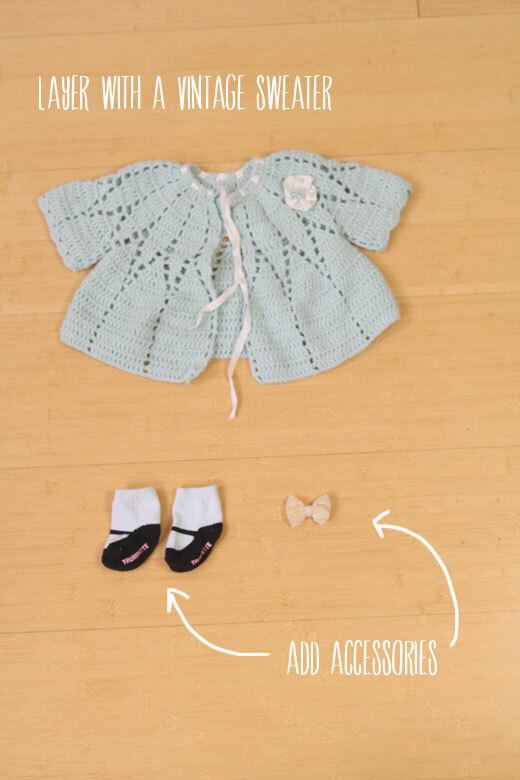 Be sure to add cute shoes (or socks that look like shoes) and something for the weird chunk of hair in the back of your baby's head. What? Your baby doesn't have that? haha! i love the step by step photos :) adorable!